Mr. Rajiv Podar is the Managing Director of Podar Enterprise and the Founder Chairman of International Business Linkage Forum. Joining the family business in 1985, he has been instrumental in setting up the textile units of the group and also diversified into international trade, information technology, telecommunication, entertainment, media and document management. Recognizing his capability, the Ministry of Foreign Economic Relations and the Ministry of Industries of the Republic of Belarus has conferred on him the special right to negotiate any matter concerning, expanding and deepening of the trade and economic relations between two countries. Similarly, the ministry of industry of Republic of Benin has bestowed him the right to prepare proposals on concrete aspects of economic co-operation between the two countries on the basis of consultations with corresponding Indian Ministries, other Governmental bodies, companies and establishments. Mr. Unmesh Joshi is the Chairman and Managing Director of the Kohinoor group for the past 15 years. With a focus on hospitality and real estate, the group has ventured into education sector by establishing technical, hospitality and management ventures in over 30 centers in the Indian subcontinent and tie-ups in China, Europe, Mauritius, South Asia and the North American continent. Mr. Unmesh Joshi is the son of Mr. Manohar Joshi, the reputed educationist, prominent political leader and former Speaker of the Lower House of the Indian Parliament, the Lok Sabha. A keen entrepreneur with strong business acumen, he has forged alliances with hospitality giants like the Apavou Group in Mauritius for innovative hospitality ventures and initiatives like exchange in Food and Beverage (F & B) expertise with various countries in South Asia, Europe and Africa. 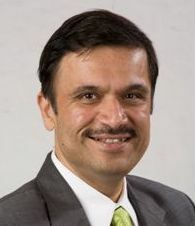 He has established successful collaborations with institutions of international repute like International Hotel Management Institute (IMI), Switzerland, Carleton University, Canada, for transnational educational ventures and has been welcomed as an active member of the advisory board of the US-based Cornell Hotel School's Center for Hospitality Research. Mr. Yaroslav Ivanchenko is a specialist in history of international relationship and economic integration and a leading author of dozen of scientific works published in Russia, USA, UK and Bulgaria. Since 1980s, he has presided over various in public, state and business organizations and has vast professional experience in commerce, finance and investment activities, banking, logistics, establishing economic contacts with CIS and other counties. At present, he is General Director of JSC Foreign Investment Agency (FIA). Founded in 1999, this establishment is concerned with the decree of the Russian government no 1272, on investing in the Russian economy. At present, FIA works to attract investment in external state-owned realty; in projects of energy industries including the programs of Gazprom and a number of oil companies; development and realization of large-scale programs in production spheres such as aircraft construction, agriculture, wine and fish-processing industry etc; investment projects database in cooperation with Russian regional administrations; construction and real estate. FIA also pays special attention to attract investment in research and development of new technologies in the fields of information technology, telecommunication, biotechnology, construction, oil and gas complex and metallurgical industry. 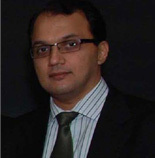 Mr. Rakesh Wahi is an entrepreneur with an investment banking back ground particularly in emerging markets. He is the Co Founder and Vice Chairman of CNBC Africa (www.cnbcafrica.com), Murdoch University Dubai (www.murdochdubai.com), Tech One Global (www.techoneglobal.com), S. P. Wahi Management (www.spw.in) and the Founding Partner and Chairman of Capital Management Advisors ( www.cma-me.com). His focus remains on venture projects in media, telecom, IT, technology and education. Based in Dubai, Mr. Wahi has been involved with the financing and development of several media, telecommunications, IT and education initiatives in the Middle East, South Asia and Africa over the last 20 years. Prior to moving to the UAE, Mr. Wahi served with the Corps of Engineers in the Indian Army for about 9 years and was awarded the Vishisht Seva Medal ("VSM") by the President of India in 1985 for courage and dedication beyond the call of duty. Mr. Wahi was also part of India's scientific expedition to the Antarctica where he established India's second base in 1987/88. Mr. Wahi was educated at the Doon School in Dehradun, India and later earned a Bachelor of Science degree (Physics & Mathematics) and a Bachelor of Technology degree in Civil Engineering from the Jawaharlal Nehru University in New Delhi. Mr. Sandeep Joshi joined the Indian Civil Service in 1979. He sought voluntary retirement from service while working as joint secretary to the Government of India. During his 25 years of service as a senior bureaucrat, he has worked in the Ministry of Finance, External Affairs and also held assignments in Indian diplomatic missions in Norway and Sri Lanka. He has been the Honorary Secretary of Ceylon estate workers education trust, an Indian Government aided body to ameliorate the condition and educational upliftment of workers children in Sri Lanka. He has also been a member of official delegations for bilateral discussions and multi lateral forum of Colombo Plan countries sessions and SAARC meetings. Mr. Joshi has been the head of customs at the Indira Gandhi international airport, Delhi and held independent charge of excise divisions in Delhi during his long stint with the government. Joining IBLF as its executive director, he brings his extensive economic, management and government experience to this organization. Mr. Amit Pujara is the Director, International Business for South American Tobacco Group (SATG), one of the largest International Swiss based Tobacco company. He is also on the board of various companies in Australia and New Zealand and has expertise in international business exploration and development. He officially represents the independent state of Samoa for international trade and is also an associated member of Pacific Forum. Mr. Pujara is an Indian born resident of Australia and is the ambassador of IBLF for the South Pacific region. A native of the former Dutch colony of Suriname (South America) Mr Ramkisoensing has had a distinguished career at Merrill Lynch and Prudential Bache in The Netherlands before becoming a founding partner of Suriname based Indo-Caribbean Trust Authority N.V. and Netherlands based Indo-Caribbean Consultancy Ltd. Collectively the InCar Group, the companies strive to strengthen business links between Europe and the Caribbean as well as Asia and the Caribbean by assisting companies that enter these dynamic regions. Mr Ramkisoensing is married and has two daughters. He holds the citizenship of The Netherlands. Mr. Dinesh Joshi is a Co-promoter of SatyaGiri Shipping Co. Ltd. and Managing Director of Enterprise Infrastructure (P) Ltd., companies promoting water transport and developing infrastructure. He is an Independent Director on the Board of Unity Infrastructure Ltd., one of the fastest growing infrastructure companies in India. He has been the Co-Chairman of the Infrastructure & Housing Committee of the IMC for the past four years and is currently the Co-Chairman of Infrastructure & Urban Planning Committee. Ms. Li Zhongdong is chairperson of China Fortune Plus Co. Ltd, publisher of Financial Planner magazine , a veteran in the fields of finance, investment and media. She has powerful influence in Chinese business circle. Li graduated from Peking University as Indian language & culture major and was invited by Tsinghua University to study EMBA. She has rich experience of international communication & cooperation and good cooperative relationship with European, Asian, American's organizations. She had organized the China-America Wealth Management High-Level Talks on national level, annual meetings of FPSB China for nine times and many other large high-end international activities. As the member of the Chinese People's Association for Friendship with Foreign Countries and China India Association for Friendship, she held China-India Forum successfully becoming a strong promoter of economic interaction between two countries.